This is something I’d originally intended to blog about a while ago, but then something surprising happened. We got a summer, a real summer, the kind of summer that you wouldn’t want to miss due to spending the majority of it in a studio, and while animal studio sessions are available throughout the year, I found myself inundated with requests for location portrait sessions up in the Lake District. Now that the weather is starting to become a little more unpredictable, and I’m starting to get more bird of prey and other animal sessions booked for the studio, it seems appropriate to post this now. They say to never work with children or animals; A line historically made by W. C. Fields. Of course, with the reliability of the modern Internet, the quote might equally be attributable to Abraham Lincoln, George Carlin or Morgan Freeman, depending on which day of the week it happens to be floating around Facebook. While I typically don’t photograph children, I adore working with animals (even the awkward ones). Every shoot with animals is different, they have their own unique personalities and behaviours, the same animal can act differently from one day to the next, and even the most well trained and well behaved animals don’t often respond well to direction. You certainly can’t pose most of them in the traditional sense that you can with a person. They also have different tolerances. 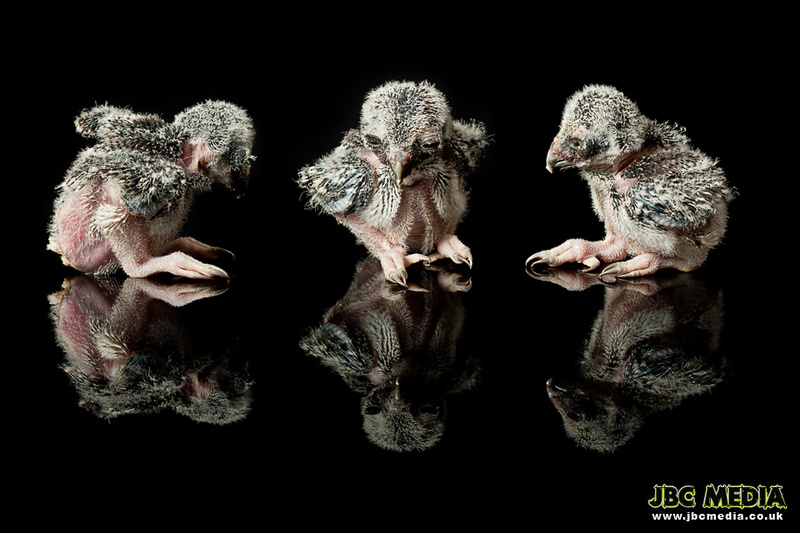 Some will happily let you photograph them and play with them all day long, while others, 5 minutes and they’re done. Rarely does this last point apply more than with bird of prey photography. 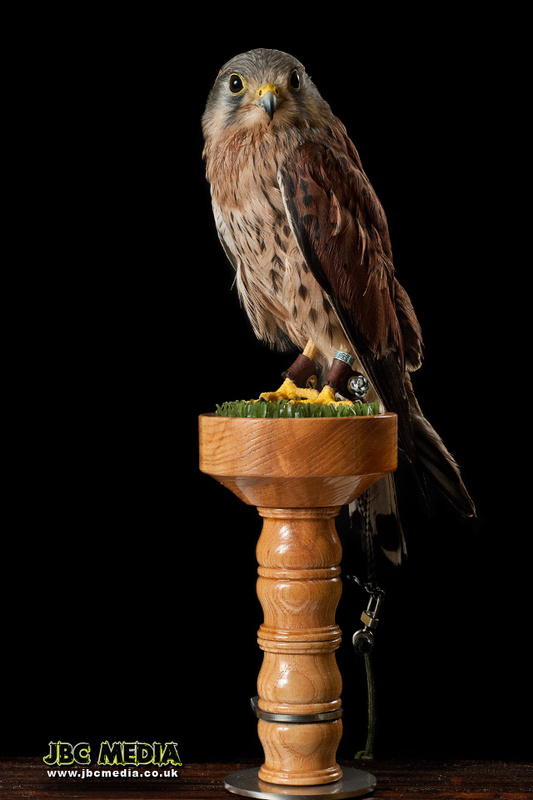 Generally speaking, captive birds of prey tend to fall into three categories, in my experience; Pets, hunting birds, and display birds. Each of these will require different planning, equipment, and method. Even within each of these groups, there will be more differences depending on whether the bird was parent reared or imprinted, as well as the age and experience of the bird. Pets are a law unto themselves. They’re all raised and kept under different conditions, they’re all used to different rituals with their owners, and each has to be planned and approached on an individual basis. They may have complete training, a little bit of training, or none at all. Which images we may be able to create will depend entirely on the animal in question. For pets, we like to meet the birds beforehand, to observe their behaviour, or at least have a good chat with the owner, and find out a bit more about them, what actions they may readily perform, in what situations and surroundings they’re comfortable, what things might upset them. The last thing we want to do is to stress out any animal, and if an animal has a particular aversion to hats, or a certain colour of t-shirt, for example, it’s handy to know these things beforehand. 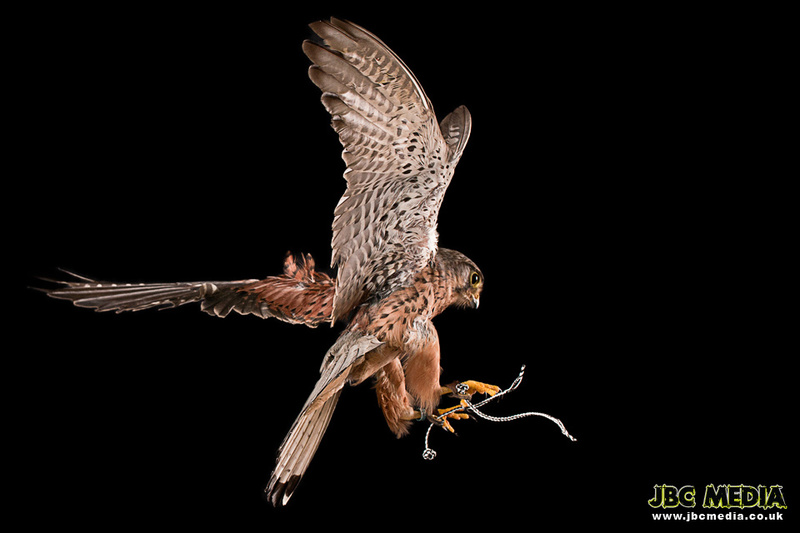 Hunting birds are generally the trickiest to photograph in the studio. While they are often extremely well trained, and loyal to a fault, they can easily become uncomfortable or stressed in unfamiliar indoor environments – of course this will vary from species to species and from bird to bird. Hunting birds are birds that are used to flying free in the great outdoors and hunting for prey. They’re driven largely by instinct, and being inside a room containing a lot of strange looking lights and equipment, isn’t something that’s been ingrained into their psyche. Movements have to be slow and deliberate. The birds may have to be introduced gradually to flash lighting, as it’s something most hunting birds are unfamiliar with. Often they will take to it in just a few minutes, but sometimes it may take several days of gradually getting them used to it leading up to a session. Sometimes, we may even have to construct a studio inside their own aviary or mews, to allow them to feel comfortable, or even the middle of a field. Like pets, they have different tolerances, and the circumstances of the session will depend on the individual bird. Display birds are usually pretty straightforward. The best ones are “bombproof” (a term used to describe animals – usually of an equine variety, but it can apply to all – which are not easily startled by the events happening around them), and very little bothers them. They’re typically used to dealing with lots of new and unfamiliar faces, and possibly huge crowds. 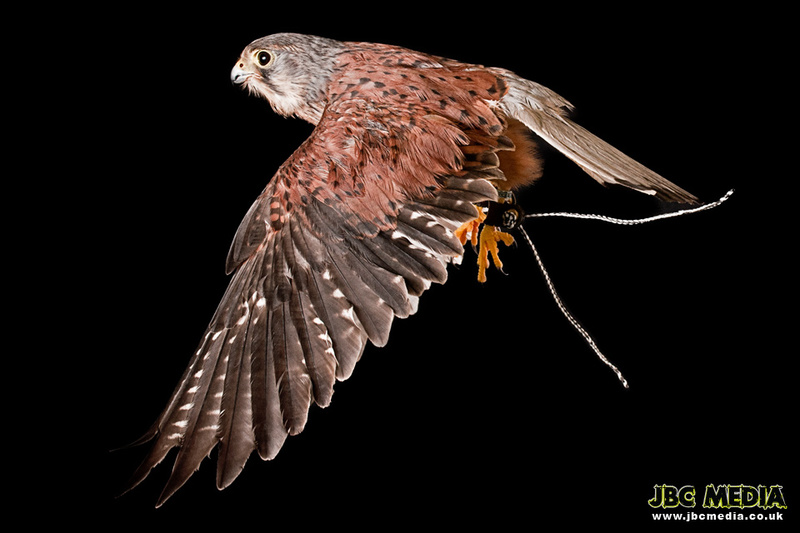 They’re used to camera flashes going off every few seconds as they do their flights around the arena at some game fair or other, and many of the “tricks” we use to photograph them are the same actions performed as part of their regular training. Whichever type of bird (or any other animal) we’ve got the camera pointed at, they’re all a pleasure to work with, but as with any animal they can be unpredictable. The unique challenges of working with animals in a studio environment can really push your creativity when it comes to overcoming those challenges to try to get the shot.